With China’s rapid increase in technological transformation, the change to intelligent systems and information technology innovation within the gas industry will be key factors in breaking its product homogeneity and price war deadlock. According to the《China Energy Development Report (2009)》, it is expected that by 2015 to 2020, China's natural gas supply and demand gap will reach around 30% to 40%. Indicating that the field of oil and gas application of the Internet of Things has entered a stage of accelerated development. Industrial RTU equipment is the key component to the composition of the intelligent gas detection system. 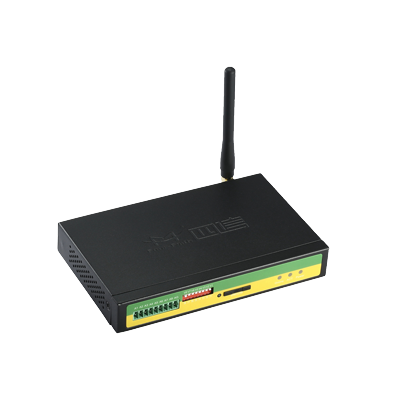 RTU (Remote Terminal Unit) is a remote monitoring and control unit device, responsible for on-site signaling, industrial equipment monitoring and control. RTU has a wealth of communication capabilities, acquisitions; transmission interfaces and supports a variety of communication methods. Therefore, in the traditional gas, oil and other energy fields, RTU can be applied to mining, transmission, storage, supply and many other aspects. The Four-Faith F2164 model 3G RTU uses high-performance industrial 32-bit communications processor and an industrial wireless module to embed a real-time operating system for the software support platform. While integrating analog signal acquisition, digital input, switch output, RS232 and RS485 interfaces. 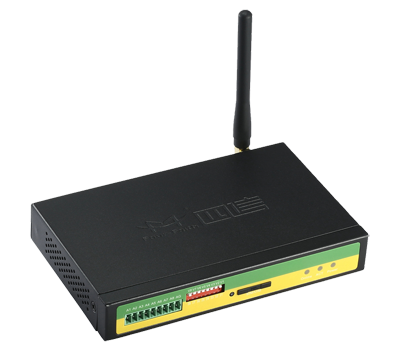 It can achieve analog signal acquisition, conversion and digital signal acquisition. The data storage cycle and reporting cycle can be adjusted according to the requirements of the user environment. In the entire gas transmission link, each dispatch center will have a purification station, valve room and other intermediate stations. In this part of the intermediate stations, the main duty is to perform the gas desulfurization, dewatering treatment, and pipeline pressure regulation. The RTU's main role is to process the collected data - such as pressure, temperature, inbound traffic, and outbound traffic. This data is then sent through 2G / 3G / 4G transmission to the master control center, the operator of the master center will then co operate with the dispatch center operator to complete the monitoring link of the entire process. In this step, the unique features of the RTU is reflected in its strong adaptability to such harsh environments along with it’s strong communication capabilities, especially for unmanned deployment centers. After the gas transmission, during the gas downstream lays the city gas pipeline network system; it is the last step of the monitoring process. A particularly important detail in this step is the addition of a bad odor to the gas so the end-users can use this as a warning sign to be alerted of any potential gas leaks. 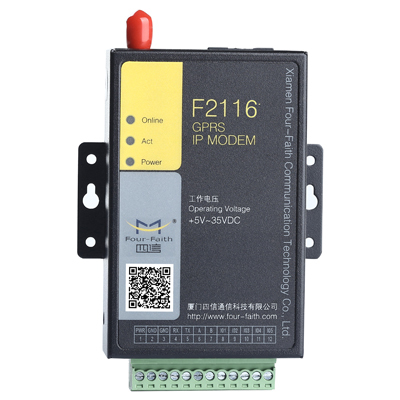 In this process, the main function of the industrial F2164 RTU is in the acquisition of data and control linkage. The RTU utilizes pressure and data flow collection through a pre-set formula; the linkage controls the bad odor equipment to apply the smell to the gas. The data collected is then transferred by 2G / 3G / 4G to the city gas network system’s main control room. The supervisors analyses the gas transmission, distribution, safety and linkage to ensure safely and proper control. In order to establish an intelligent production and application systems for gas monitoring, along with management methods to provide data collection, transmission, analysis, decision-making and control as one integrated solution. We cannot do so without the help of an industrial RTU for basic data collection. 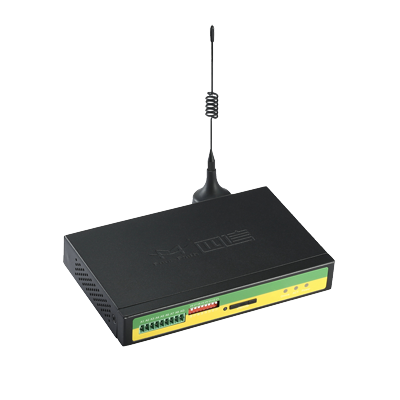 In the application platform, the RTU will connect the various sensor devices after the acquisition of basic data, it is transferred through 2G / 3G / 4G network to the master system; at the same time, the master station control personnel receives this RTU data. After comprehensive analysis, remote control RTU on-line real-time control of the next device, so as to ensure the continuity of the entire transmission and control process, simplifying the configuration, enhancing the system computing and processing capabilities. With China’s larger focus in the country’s oil and gas enterprises to gradually improve the supervision and management of environmental protection work in sewage treatments, pollution site safety repairs will gradually receive increased investment. The National Development and Reform Commission declared immediate attention is required for environmental protection in the field of oil, chemicals, and smelting, mining and other polluted sites. Both ecological and security are prominent problems, it is important to build pollution remediation technology platforms to enhance our country’s equipment automation level, indicating that the oil and gas market will continue to rise in demand.